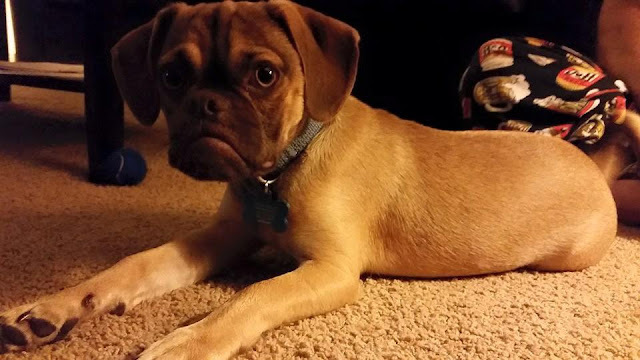 The peeved pup went viral when a picture of him sporting his best sullen expression was posted on Reddit and quickly gained more than two million views. 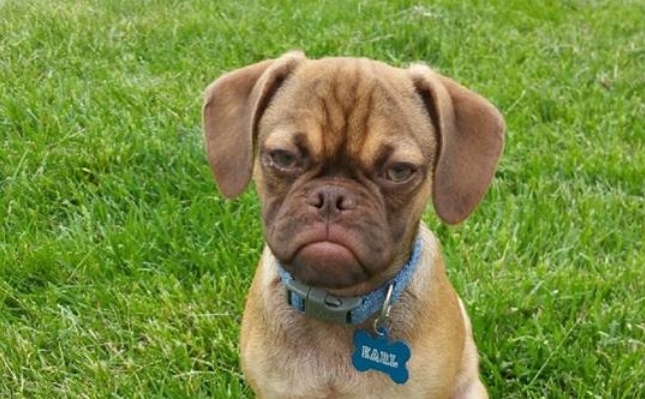 The internet fell in love with five-month-old Earl and got busy creating memes and making comparisons to celebrities such as Samuel L Jackson. 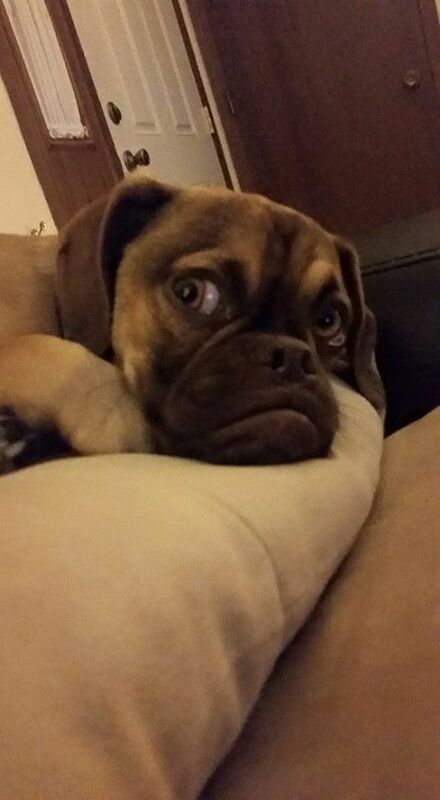 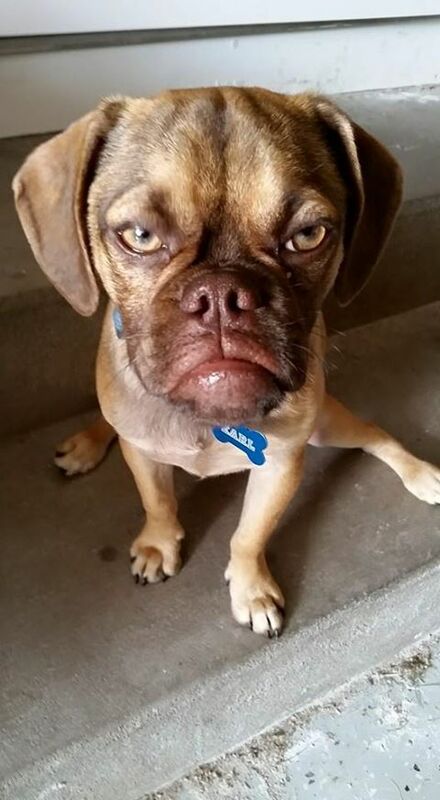 Now, owner Derek Bloomfield, 25, has decided to share some new pictures of his downcast dog to prove that Earl is definitely Grumpy Cat’s new rival. 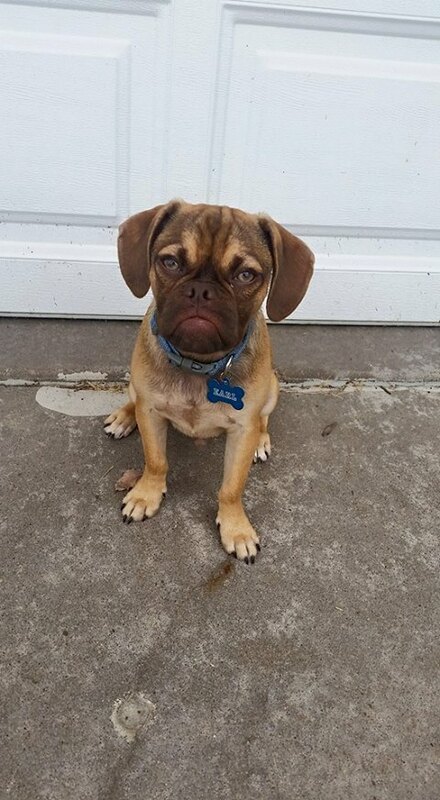 Derek, from Iowa, USA, claims that, despite his sulky face, Earl is in fact super friendly to other humans and dogs. 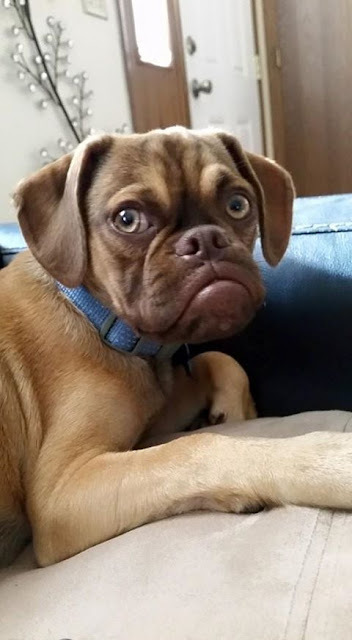 His expression is merely down to an underbite. 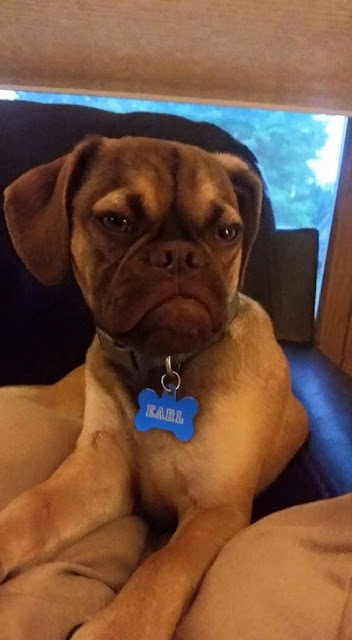 His breed – pug and beagle mix – also contributes to his looks. 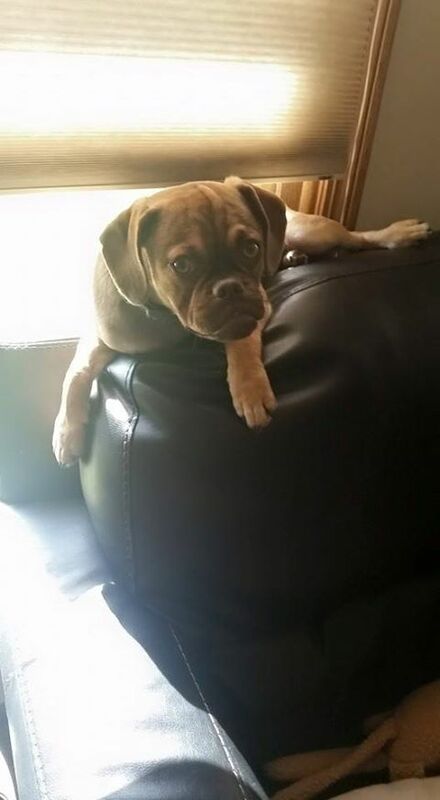 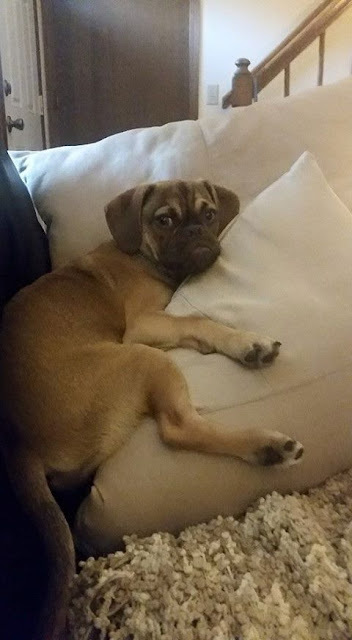 He is a second generation ‘puggle’ meaning both his parents were also crossbreeds. 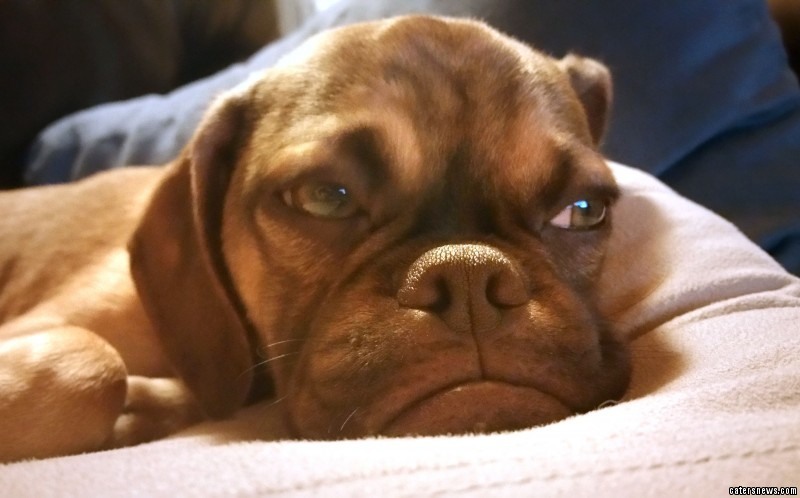 Responses to "The Very, Very Grumpy Puppy Is The New Internet Celebrity"